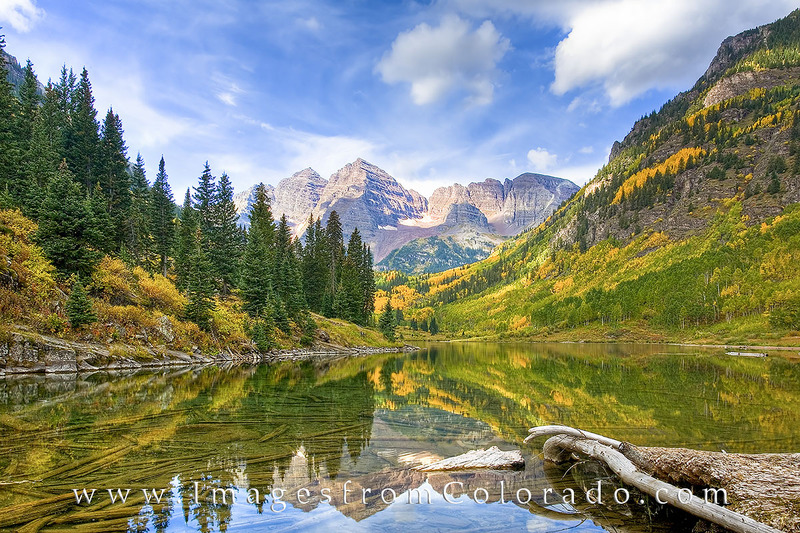 With the aspen trees shimmering like gold, the majestic Maroon Bells, two of Colorado’s 14,000’ peaks, rise in the quiet, cold air of an Autumn morning. The reflections of these two peaks appeared as if reflecting in a mirror. Located near Aspen, this is arguable Colorado’s most photographed location for obvious reasons! Photo © copyright by Rob Greebon.